Tusk-N-Tines Outfitters is located in the beautiful hills of Pike County, Ohio. 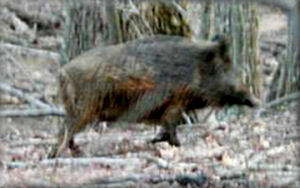 We offer a large selection of Arkansas, Russian and European Boar. We are established as an exclusive hunting preserve. 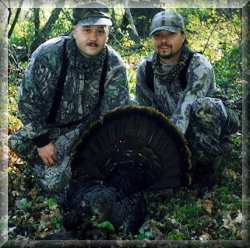 Our goal is to provide you with a hunting experience that you will never forget! We are equipped to address any of your hunting needs, from guiding and field dressing your animal, to processing and taxidermy. You decide if you want to hunt from blind or stalk your trophy. Our passion is driven by the outdoors and the hunting experience. 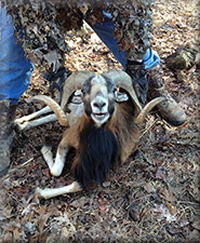 We are dedicated to provide you with the trophy hunt of a lifetime. We offer a wide array of game to satisfy the true hunters desires knowing that variety and challenge are of utmost importance. 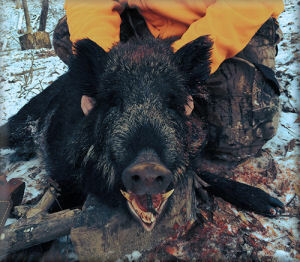 Tusk-N-Tines Outfitters maintain a "No Kill - No Pay" policy. This means if no animal is killed during the hunt, no additional charges apply. However, if you draw blood on an animal and/or wound it we will consider it a KILL. The guides will make every and all effort to recover the animal for you. We also want you to know that at Tusk-N-Tines Outfitters, SAFETY is our number one concern. We offer weekend hunts and limit the number of hunters scheduled at any one time, for safety reasons. Weekday hunts, group outings, and special needs can all be accommodated by our staff. Cost = See our website for pricing and list of exotics. People have viewed this Listing.